Continuing my journey around South Africa as I check out over 70 properties in Cape Town, the Cape and the Garden Route. This morning after a delicious breakfast we said goodbye to Keith and Cindy at our home for the past few nights, An African Villa, and drove for about half an hour to the area known as Sea Point to visit a new property called Winchester Mansions. This is our first visit to Winchester Mansions and we were overall very impressed. The downside with this hotel is the endless number of different room categories which can be confusing. However it is a stunning property with lovely sea views and a large heated swimming pool. We were greeted warmly by Vanessa before heading off to look at the rooms. The rooms are large and even the most basic entry level rooms are adequate – some have a partial sea view. The selling point for this hotel is the large bathrooms all with separate shower and bath. The hotel is also ideal for families as one of the suites offers 3 bedrooms no less. On a Sunday in the courtyard you can enjoy Sunday brunch with a jazz band. The hotel also has a small spa. The Classic Rooms are classic in style and the Modern Rooms are decorated in Antique/Double Grey and white. The hotel also has parking which is important for all our clients doing self drive holidays. We both loved this hotel and would highly recommend it. The hotel is situated between Camps Bay and Cape Town. This is a stylish hotel with an open foyer leading to the Tobago Restaurant. Unfortunately only one room was available for us to see and this was a standard Mountain Room with a partial view of the stadium. The hotel has a new Spa. It also has a small long swimming pool overlooking the sea by the Tobago Restaurant. In the restaurant area you will also find the modern looking bar. The terrace area is lovely with views over the marina and waterfront in the distance. The hotel has ample parking. After our inspection on the Radisson Blu Waterfront we headed to the V&A Waterfront were I met Collin and Fasiega for lunch. It was great to see Collin again and to meet Fasiega who receives my hundreds of emails! We had a lovely lunch and it was brilliant talking about all the properties John and I have seen. After lunch we headed to Albatros’s new offices to meet the rest of the team. It was an absolute pleasure to meet everyone as always and I am so proud to be working with such a great team of people in Cape Town. Many thanks to Collin and everyone at Albatros for the lovely gift – it was very much appreciated.! After seeing the Albatros team we then headed for Chapman’s Peak for the stunning drive to Afton Grove. We were met on arrival by two members of staff and were shown to the Executive/Honeymoon Suite and were offered tea or coffee that was brought up to the room. In the room we had some flowers waiting for us from Chris and Louise welcoming us back to Afton Grove. We then met up with Chris for pre-dinner drinks. It was so great to see him again. 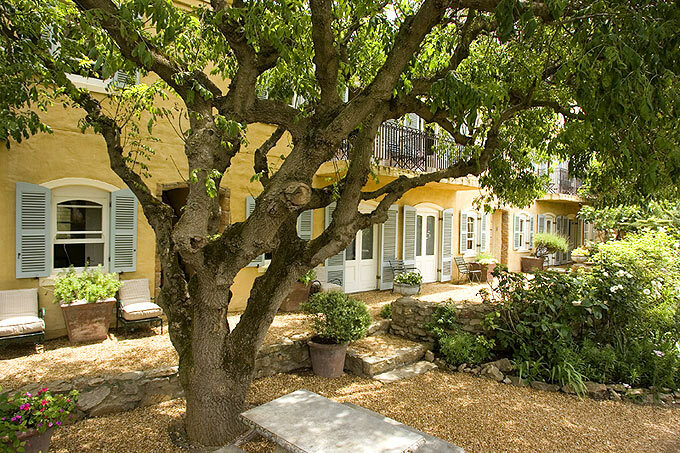 This delightful guest house is made up of semi-detached Garden Cottages that overlook the manicured gardens. The guest house also offers two self catering cottages and breakfast can be added to the rate. We had dinner at the guest house with Chris and Louise and the meal was typical Cape Malay cuisine. The guest house has a lovely little pool. Chris is a keen birder so it’s great for clients with this interest. They can also arrange horse riding on Noordhoek Beach. Highly recommended for budget to mid price clients especially if they are staying in the Cape for over 4 nights. After a delicious breakfast at Afton Grove of omelettes and pastries we carried on looking around the rooms. The best room is the Family Self Catering Cottage as it has a large seating area, a small kitchen and a lovely bedroom and large bathroom. We then said our goodbyes and travelled via Fishhoek and Bettys Bay to Hermanus. The drive took approximately 2 ½ hours mainly due to there being a diversion just outside Hermanus which held us up! This is a beautiful modern property with 18 rooms. There is a small reception area that again has a modern design. Breakfast at Quarters is taken at Oskars Restaurant which is opposite the hotel. The standard rooms are quite small however the Superior rooms are huge and we would certainly recommend this room category. The Superior room has a large lounge area, a nicely equipped kitchen and a good size bedroom and bathroom. Some of the rooms are inter-connecting with a standard room making this an ideal option for families. They even hosted us for lunch at Oskars Restaurant which was very nice of them considering we have not worked with them before. I would highly recommend this property and will be using it in the future. This hotel is very pretty with its lovely yellow façade and true to its name it has a real French feel to it. At Auberge we were allocated a twin suite which is huge, airy and bright. The subtle coloured sofa and wicker chairs are very nice as is the white bedding. There is a balcony that we can see the ocean from and with the windows open I can hear some delightful Ibiza tunes! The Suite also overlooks the pool. The Auberge Restaurant across the road opens for breakfast and lunch however closes in the winter from dinner. Overall this is a very nice property. We had a fabulous dinner at Lemon Butta. The Sushi to start with was one of the best we have ever had. The service was fantastic. This was our dearest meal so far at R530.00 (£38.00) including a 10% tip and wine and water. Highly recommend this restaurant to clients if they love seafood. It was awesome! After a good night’s sleep we were up early for a morning photo shoot of Table mountain. John is a professional photographer and Cape Town is truly one of the most photogenic places on earth so it was important not to miss out on a beautifully clear morning with perfect blue skies. Then after a delicious breakfast we headed back into Cape Town for our next set of hotel inspections. This property is set just off the actual V&A waterfront but has the added bonus of water taxis from the hotel to the waterfront until 5pm in winter and 8pm in summer. The hotel is very close to the Cape Town Convention Centre making it popular with business travellers. This hotel is mainly used for corporate clients and is functional with modern style bedrooms in duck egg and cappuccino. The bathrooms are integrated into the room although there is a wall and a roller blind can be pulled down to save blushes if you were sharing with friends! The Harbour Bridge is approximately a 20 minute walk to the waterfront. Stunning! – We loved these huge self catering apartments that come with fully equipped kitchens. Zak who showed us around was fantastic and extremely enthusiastic about the property. The apartments are also set on a huge waterfront development. Six Superior Apartments have small plunge pools and these can be requested at the time of booking. The Presidential Suite is ideal if you have three couples travelling together and is set over two floors. 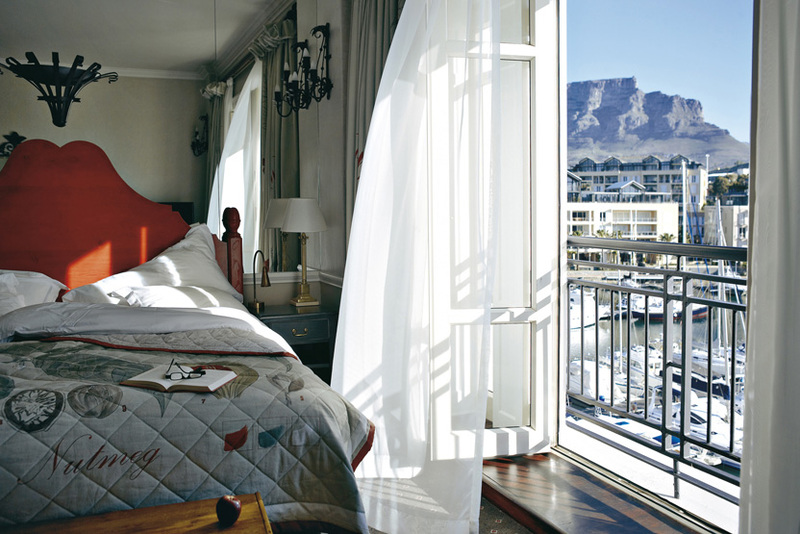 The views are to die for overlooking the V&S waterfront and the canal. The apartments are next door to the One&Only (hotel) and clients can take a discounted breakfast in the hotel if they do not wish to cater for themselves. To get to the waterfront there is a short walk along the canal through the gardens of the One&Only next door which takes just over 5 minutes. There is also plenty of parking for those guest on self drive holidays. This is a really nice property which I would class as an excellent 4 star plus option. The reception is in black, silver and burgundy. It is very impressive and the staff were extremely friendly. The two bedroom Luxury rooms are perfect with spacious living areas, kitchen and bedrooms. The pool area and bar are amazing and have the most incredible view of Cape Town. They also offer sushi for lunch which would be a lovely option. The main dining room called Grill1800 is known for its fabulous steaks. The hotel also offers a gym and spa. They were offering a two course lunch for only R99.00 which is excellent value for money. I loved this small and intimate property which is in the same road as the Cape Royale. The hotel has seven tastefully decorated rooms in earthy colours, the rooms are quite small but I would say this hotel stands out over the Dock House and it has a really friendly atmosphere about it with boutique hotel style. The manager Nkosi was so welcoming and enthusiastic he really made a great impression. The restaurant is light and airy with a nice view over the small pool. The owner Marc is a cordon-bleu chef and normally makes all the breakfasts for his clients. The Sugar Hotel also offers a wellness room. We both loved this little hotel so much. This is a good 4 star option that has recently been refurbished. I liked the style with the exposed brick interiors creating a warehouse effect. The hotel also has a gym. My favourite rooms were the loft style rooms which were set over two floors (mezzanine). They have a small kitchen area, dining table and fabulous views. The upstairs part of the room houses the bedroom and bathroom. The walk to the waterfront isn’t too far and at night they offer a complimentary shuttle service to the waterfront. This might not be necessary as there are many restaurants in the immediate area. This morning started with another great breakfast at Melissa’s. We checked out and drove for 20-25 minutes back to Cape Town and arrived at An African Villa mid morning. We met Keith and Lindsey who took us on a brief tour of this wonderful guest house. The guest house is really inviting and the décor is deep red, white, black and brown in the communal areas which gives it a true African style. There are lots of fun, quirky style elements to the place including ostrich eggs and paper animal heads that light up in the evening! Some of the rooms also have a private patio area which is a nice surprise. We then headed out to see some more hotels. All the properties we visited today accept for The Table Bay Hotel are situated in the CBD area of Cape Town. This is a basic 4 star hotel and is part of the AHA chain (the same as Harbour Bridge). We were met by Frederick who showed around. The nicest room we saw was a Junior Suite which has a seating area and television with the bed on the next level which you get to by a few steps. The room also has a small kitchen which is handy if staying in Cape Town a while. The hotel has a nice little restaurant and bar area. The hotel also has a roof top swimming pool! It is well situated in the centre close to Kompany Gardens and the cultural and historic part of Cape Town. This was the best hotel we have seen so far and by far, a truly magnificent property! The hotel is made up of two building one of which used to be a bank. The lobby lounge is simply awesome with the huge vaulted ceilings giving the area a real feeling of space. There is a bar in the lobby lounge and also a Cigar Bar. Late breakfast is served in the area as is afternoon tea. The hotel has two restaurants including the Bombay Brasserie which offers a fine dining Indian experience (bookings are essential for this restaurant). The décor of this restaurant is in blue, beige and wood and is stunningly beautiful. The second restaurant is called Mint where breakfast, lunch and dinner are served and it offers a much more European menu. They also have a bar outside the hotel on the corner of the road called Twankey Bar which serves light food and drinks throughout the day and is popular with locals for a drink after work. On a Thursday there is a market that takes place outside the hotel. The hotel has an Indian food stall on the market which is fun. The rooms either overlook the mountain or the city. In the two buildings there are two types of rooms; Heritage and Tower. We looked at a Luxury Mountain Facing Tower Room and it was a good size with a huge floor to ceiling window overlooking the mountain. Again the bathroom can be seen into from the bedroom however there is a roller blind that can be used to block out the view! Is this a new trend in Cape Town? They also have 16 Club rooms that have their own communal lounge. The hotel has an indoor pool which is worth remembering and a gym. This hotel is certainly comparable with the Cape Grace and the Table Bay. This is a modern 5 star hotel which is only 3 years old. The lobby is modern with floor tiles and black pillars and a huge glass chandelier. The hotel’s style is similar to the Cape Royale and The Queen Victoria. There are four individual reception desks which means I don’t think anyone ever has to wait to check in or out! This hotel is the one we use for the end of our South Africa Grand Escorted Tour. It is also situated in the CBD area. The one bedrooms suite are very nice with plenty of space. The hotel has a gym with a great view overlooking the mountain (definitely the best gym view of all we have seen). The hotel also has an outdoor pool. They also have parking. Wow, this is truly a completely different style hotel! Situated close to Leeuwenvoet House and An African Villa this hotel is much more suited to a younger crowd as it is very funky. The bar has ice around it making a fabulous feature which I have never come across before. The hotel is known for its milkshakes and thanks to Nicholas who showed us around we each had one to try during our hotel inspection. The communal toilets are unisex with a names such a long drop, temptation, Stage Fright and the Out House. The dining room is quite small and they have several tables one of which is a communal table for guests that wish to mingle. I would say that this hotel is only really suitable for couples or honeymoons or people that are intimate with each other as yet again the bathroom is integral to the bedroom (definitely a trend in Cape Town!) The hotel also has a pool and gym. The hotel also has some loft style two bedroom apartments which work out excellent value for money and these rooms also have a small kitchen. I would recommend this hotel for guests with a great sense of humour and who are young at heart. It wont suit everyone though as it has a very modern quirky style. I was very impressed with the Table Bay Hotel. There is a huge lobby area which also houses the Lobby Bar where we had afternoon tea. The rooms are large and comfortably decorated in soft browns. All the rooms have separate bedroom and bathroom. In the bathroom there is a separate shower and bath. If the party has children the hotel can offer an extra bed which is a converted sofa bed in the same room as the parents. The rooms are either sea or harbour facing so all have nice views. The hotel also has a spa and beautiful outdoor pool area. This hotel offers everything you require from a 5 star hotel and I would happily recommend it to anyone. We join Paul and John as they begin their South African inspection trip in Cape Town. After waking up to gorgeous weather and a stunning view I made my way downstairs for a hearty breakfast before heading out to start my very busy day visiting most of our accommodation in Cape Town. 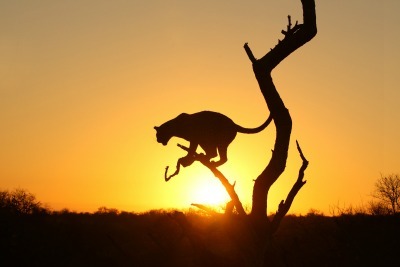 The next place on my schedule to visit was another Real Africa favourite – Leewenvoet House. This place may not have the stunning views due to its location in the city centre but it certainly makes up for it in style. The deluxe/honeymoon rooms are large, spacious and decorated in soft dove grey. The B&B has been expanded and modernised since I was last here a few years ago and I love it’s new look and the space. There is a small but inviting swimming pool with a lovely terrace with views of Table Mountain. I really think this guest house offers exceptional value for money . Next up was Protea Breakwater Lodge a much larger place which used to be an old prison and has plenty of history. It’s a good place for those on a budget wanting to stay on the waterfront where most other places are a lot more expensive. Then I moved onto the Commodore Hotel which is next door. This is also a large hotel with a spacious reception area with a swimming pool and outdoor dining area. Some of its rooms have excellent views of the harbour and again this is good value for money. Also next door on the waterfront is the Portswood Hotel which I also popped into to view some rooms and their facilities. In contrast to these more budget orientated hotels my next stop was something else – the Queen Victoria Hotel. The Queen Victoria Hotel is stunning! The reception area is modern chic with a monochrome palette. All the rooms are situated around a large, airy central atrium with a truly stunning modern curving staircase winding upstairs. All the rooms are stunning with huge beds and great designer bathrooms. There is also a bar and restaurant and guests have use of the pool at their sister hotel the Dock House. This hotel offers a 5 star option for the young, fashionable visitor who is looking for something less formal and traditional that the well known Cape Grace or Mount Nelson. Their sister hotel the Dock House is smaller with 6 rooms in a very similar modern style but is much more intimate and good for a honeymoon. They have a lovely breakfast room and garden with swimming pool. 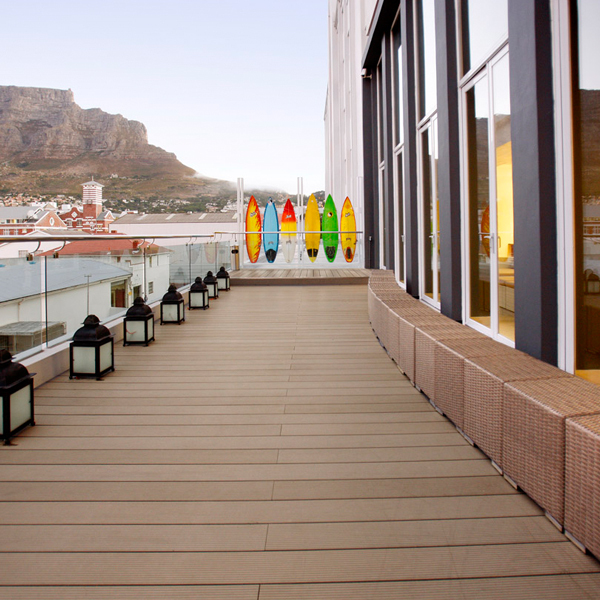 Then it was onto another great hotel in the stunning Cape Town waterfront – the Victoria and Alfred Hotel. This hotel really does have a superb position and offers three types of room; loft, piazza facing and mountain view rooms. The views over Table Mountain were amazing and these were my favourite rooms with a lovely airy feel to them. This is a lovely 4 star restaurant with a great restaurant overlooking the water and I can highly recommend it. Next up we headed over to one of Cape Town’s most famous luxury hotels, the Cape Grace. I have been here several times and I am pleased to say it was as stunning as ever. The newly updated décor is based around the history of Cape Town and gives the hotel real history and character. There are plenty of facilities with a shop, reception and the Signals Restaurant which serves meals throughout the day. There is even a library for some quiet time out. The rooms themselves are all large and beautifully decorated. I would recommend a superior room as these are very spacious with a balcony with great views over the harbour and yachting marina. The other rooms such as the Rooftop Terrace and the Luxury Table Mountain View rooms are also great. One of my favourite elements of the hotel were the quirky chandeliers made to look like they had come from a shipwreck with a mix of different items such as cups fitted into them. I really do love this hotel! Finally last on the day’s itinerary were the Aquarius Luxury Apartments/Hotel. 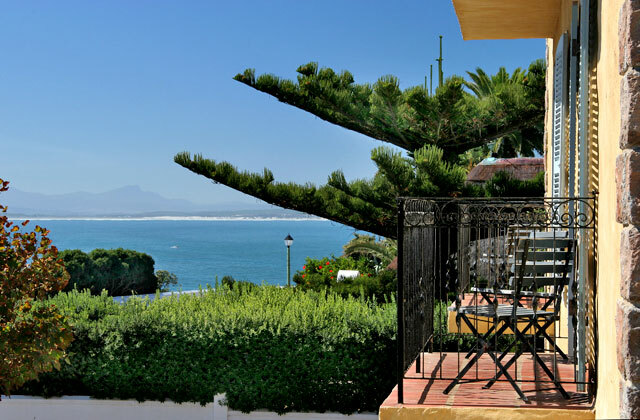 This is a modern building in Bloubergstrand offering aparthotel accommodation. We unpacked our bags and checked out our home for the night. We had a two bed roomed apartment, ideal for a family, with a large living area and a fully fitted kitchen. 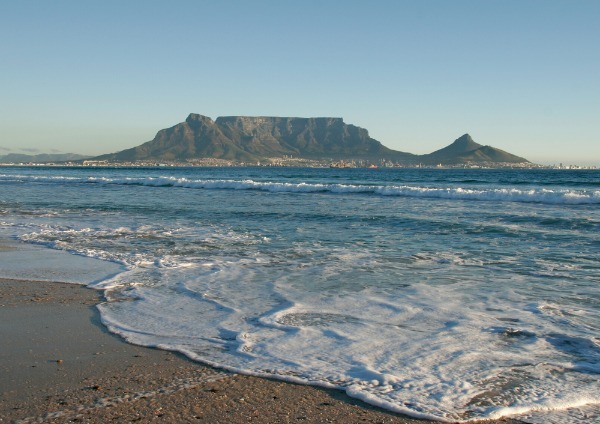 The hotel/apartments are close to the beach with great views of Table Mountain as well. There are plenty of restaurants nearby if you don’t want to do self catering and we took ourselves off for a well deserved dinner at the Thai place next door. I can recommend that too! 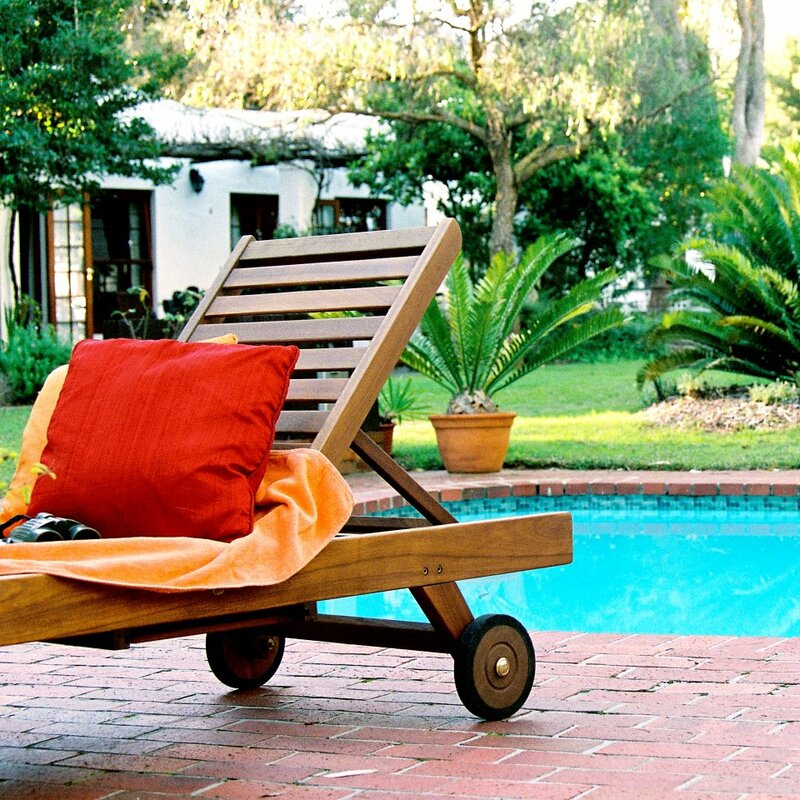 Cape Town and the surrounding areas including the Cape, The Garden Route and the Winelands are home to a very particular type of accommodation – the Guesthouse. These are very different to the kind we would expect here in the UK. In the UK these types of places are usually the budget option and are fairly basic in facilities. However in South Africa the guesthouse or B&B is a much more stylish and exciting option. There are many options in and around Cape Town itself. They make a fantastic base for exploring the city as many of them have excellent locations close to the main sights. The owners pride themselves on their personal touches and they can be a very useful source of local information to help you get the most from your stay. Prices range widely: from the excellent value to more expensive luxury options. They are small, privately owned, often family run establishments that pride themselves on their personal touch. Most guesthouses offer between 2 and 6 rooms with a few larger places offering up to 20 rooms. The thing they all have in common is their charm and personality. They make for an absolutely fantastic alternative to the large, often soulless chain hotels and they are most definitely my preferred option when looking for somewhere to stay and explore a place. Most offer a good range of facilities despite their small size. Standard packages include breakfast, internet access, secure parking, tea and coffee. Some offer much more including other meals, the use of a swimming pool, transfers into town, or even excursions. What they all offer is personality and comfort in style. 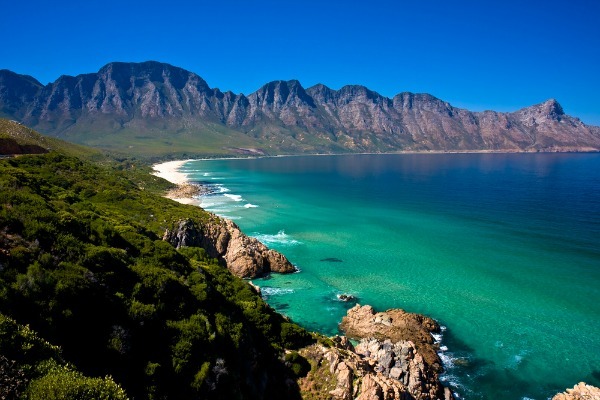 Many have wonderful views over the surrounding scenery and in the Cape that can be over the sea or the mountains or even from high up overlooking Cape Town itself. Leeuwenvoet House – Leeuwenvoet House is a lovingly restored Cape Victorian home which was built in 1892. The original house offers a fine example of the architecture of the period and has beautiful pressed steel ceilings and oregon pine floors and doors. The site of the guest house marks the original position of the farmhouse of Leeuwenvoet farm. It is situated twelve minutes’ walk from central Cape Town, about five minutes from the Company Botanical Gardens and adjacent to trendy Kloof Street, the fashionable restaurant district of Cape Town. The V&A Waterfront is only a few minutes away.